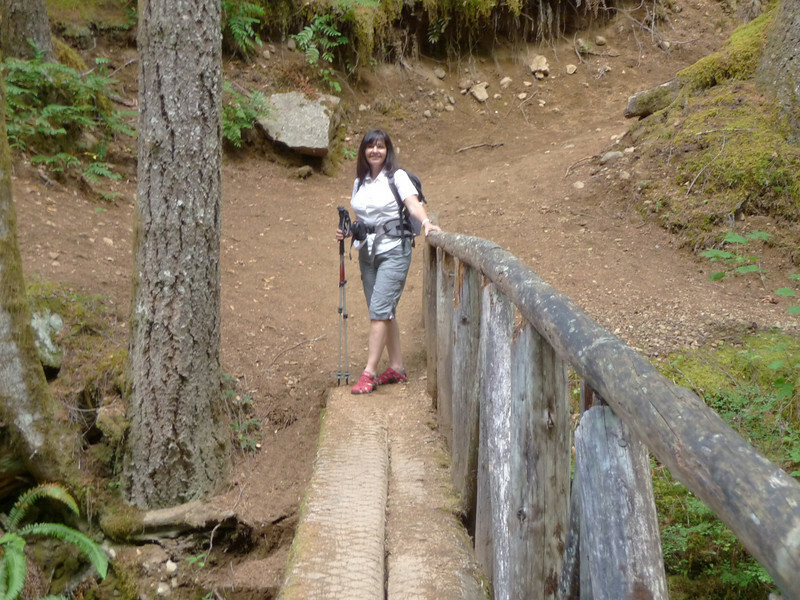 September 4, 2010: Since I can't do steep descents (due to knee injury), Dave and I hiked Siouxon Creek on Saturday. Fairly flat trail along the creek with several waterfalls to climb for an added bonus. The beauty of climbing the waterfalls was that from the top, we could easily get back to the trail so I didn't have to deal with the 'steep descent'. If I could carry a hang glider up big mountains, that would resolve everything as my knee is o.k. on the ascent! ;) We continued hiking through the old growth forest past numerous waterfalls always following the creek. Dave and I stopped at a tranquil pond with waterfall for our lunch break. It was magical. The light was flat; pix don't do this gorgeous, fairyland like area, justice... A great day!